Like the Big Genetics of the Human Genome Project before it, Big Neuroscience has gone mainstream. In his recent State of the Union address, US President Barack Obama mentioned brain research, and it’s thought that his next budget will seek $3 billion funding for the Brain Activity Map Project, an ambitious attempt to use nanotechnology and genetics to investigate brain function. The way in which the excitement of many connected neurons gives rise to coordinated patterns of brain activity is not well understood, and the project hopes to start small and work up, one step at a time, to the human condition. $3 billion! That should ease the physics envy somewhat. 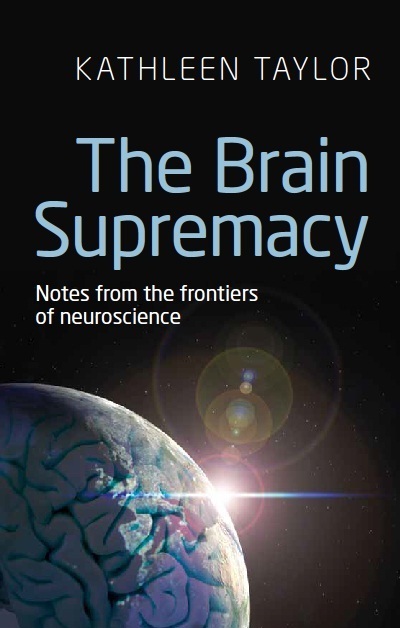 The brain supremacy is on its way. Brain research has been moving up the science hierarchy for a while. The European Union has announced a large dollop of funding for another Big Neuro project, this time to build a computer model of a brain. While the President was setting his neurohare loose, ably assisted by the New York Times, the BBC confusingly chose to highlight another big brain mapping project, the Human Connectome Project. Big Neuro, big news. Just to clarify, the Human Connectome Project has been going for a while, and its aim is to study the physical connections between brain areas (their structural connectivity). The new Brain Activity Map Project aims to study how brain areas interact (functional connectivity). Since you can in principle have a link between two neurons that is not used, or one that is created or that dies off, structural and functional connectivity aren’t the same. Also, re terminology: the ‘connectome’ is the set of all the links between neurons in an organism, and was first used to refer to physical links. So you can have a connectome (i.e. a structural connectome, the wiring), and you can have a functional connectome, a list of which bits communicate. Human brains have around 86 billion neurons, roughly the same numbers of glia, and more neurotransmitters, hormones and receptors than you could shake a stick at. Human brains, therefore, are not where the new project will start. Instead, it will spend an immense amount of taxpayer cash on animal research. The brains to be mapped will be those of worms, flies, small mammals, possibly primates. Like I said, one step at a time. Nonetheless, if you spot a neuroscientist with an unaccustomed swagger, chances are those 3 billion dollars will be why. Just to update, the formal announcement has now been made. The project (with an imaginative flair worthy of your average washing machine) has been named BRAIN: Brain Research Through Advancing Innovative Neurotechnologies. See for example http://www.bbc.co.uk/news/science-environment-22007007. Present commitments are only 100m & 82m from others. Its a start. Are supper computer simutilations the best use of this money?